This is a guest post by Pastor David Wilson of the Grant Avenue Baptist Church in Redondo Beach, CA. He contacted me with these thoughts after reading either Questions About The School Of Tomorrow and/or Guest Blogger: Examining Accelerated Christian Education. I want to thank Paster Wilson for allowing me to post these comments, as the use of distance education and online learning materials in Christian schooling is a story that isn’t told as often in the field. We had a very intelligent young man (now a doctor) who was the first graduate who attended from preschool through High School and graduated with honors. He also was African-American, and much more sensitive to issues which related to African Americans as depicted in the material. He had some good questions. First, he pointed out that the character “cartoons” in the material in the younger grades were all white. Second, when African American characters were added they were always presented separately, as if they all had their own churches and fellowships. I don’t recall a single occurrence of such a teaching strip presenting mixed fellowships. To the people at School of Tomorrow all such relationships were separate as presented in the teaching strips. Later, in High School material, an English Pace used an old poem about “Tracks.” The reference was to gospel tracts, but the dialogue used was old Southern ignorant Black speech and dialect, even using the word “Massa” (as I recall, but that’s been a lot of years)… I personally wrote a letter to A.C.E. and received no answer. Later, I spoke on the phone to Mrs. Howard’s assistant. (the story then was that the founder, Dr. Donald Howard, was overworked and gravely ill and others were taking leadership responsibilities, including his son. I was assured that Mrs. Howard has seen the material and decided that indeed it was inappropriate. In your blog, you quoted a section from High School Social Studies, American History, that spoke derogatorily of South African Blacks. The discussion was used as an example to illustrate a point I have forgotten, but had no place in a history of the United States and its founding. Once again, I wrote a letter. The pastor of the church wrote a letter as well. The student wrote a letter as well. I received a phone call from the author of the material, who defended it. I continued putting the pressure on until I reached Donald Howard, Jr. (I think that was his name, but he was the son of the founder– the founder being ousted after allegations of sinful conduct came to light that created a breach in his family and the organization).. The young man was at the time taking the lead for the publication and had actually spent two years in South Africa and completely disagreed with the statement. In fact, the statement was alluded to in later materials relating to World History, as I recall. He refused to RECALL and REPRINT the materials, but did tell me that the next printing would remove that statement because of my strong opposition. He was very gracious and kind and when the next printing of those materials came out, that section had been edited out. I was informed that the author of the material, who taught at their Institute (i.e. college) was retiring and would have no further input. He also advised me that the old school founders who had some “Southern ideas” were all being phased out, making room for younger people with a better understanding of such issues. As a school administrator, I worked diligently to see a number of edits and changes made to the material, as our school was a mixture of all races. ACE material had some weak areas. I quickly learned that almost every student coming into our school would have to do a number of low level Packets explaining some simple English concepts (adjectives and adverbs)… I took the material and established a remedial English class for those who had that failing, that met two times… Whereupon, students were able to retake the diagnostic test and understanding those simple concepts grow. The major lack with School of Tomorrow was their challenge for our students to excel, while their people were allowed to continue with major fails in writing materials and distributing the materials. Materials were constantly on back order, or left out of a shipment, or the wrong materials shipped. Their consultants would come and “inspect” our school, and insist on excellence, but they themselves did not hold those same standards. When the ACE system was taken seriously by staff and students, students excelled. We had many students who came to us who had missed very important concepts in public school experiences. When the system was applied, suddenly the tools to learn were put in their hands. The system broke down when students and staff sought shortcuts. There were several math packets that were so poorly written that every student who completed the packet would have to repeat it, sometimes more than once. Special tutoring sessions for those packets had to be created as the material was so poorly organized or explained that students could not grasp the material. As I recall, Math PACE # 71 was a critical failure that 99% of students failed the test. There were several others like that. Other problems with the material (which gradually were corrected, thanks to input from our school and others) was that multiple choice questions were asked and of the three potential answers two of them made no sense. A section of reading was immediately followed by a page of questions that were presented in the same order as they appeared in the material. Students quickly learned that they didn’t need to read all the material, but simply go to the questions and scan the reading for answers. To my knowledge, this was never changed,. Every breakdown in learning stemmed from students cheating, poor supervision to prevent cheating, or staff members failing to see a student struggling with an area and failing to provide assistance. Finally, the problem we had in running Christian Schools (our church disbanded theirs about six years ago) was that the students who came to us claimed to come from Christian homes that were committed to Christ, but the students turned out to be refugees from public school. Either they had been in trouble or were avoiding trouble. Therefore, it was difficult to prevent our Christian Schools from becoming REFORM schools with a Christian theme. Sometimes, it worked. Sometimes, it didn’t. Our church established a rule that no student who had been suspended or expelled from another school could be received, unless a reasonable doubt of the fairness of that action was provided. For example, the school I worked in for nineteen years had several incidents of temperamental staff expelling students without just cause. One administrator actually challenged a student to a fight over a comment made towards the administrator’s step-daughter and the student was the one expelled. Another time, a student was told he could not do something (I forget the detail) and when he asked “Why?” the administrator threw a full soda into a trash can and told him he was expelled for challenging authority. Since I knew the student, he attended and graduated in our church’s new school. My problem was struggling too long with students who were not acting appropriately. When they did not respond to discipline, I had no choice but to dismiss them. Often, in efforts to love and reach them, I waited too long to do so. In one case, because the students came from the church of a fellow pastor, I kept two brothers in our school for far too long, not wanting to offend the other pastor. When their actions became so grievous that I had no choice, I dismissed them. Later, he thanked me for ministering to them, but advised me that they both were in serious trouble with the law. There is also the problem of the Pastor’s oversight of the school distracting him from other work within the church. Well, I’ve gone on and on, and your post was written six years ago… I just wanted you to know some of my experiences, and also, how some of that offensive material got changed. This is a guest post by Pastor David Wilson of the Grant Avenue Baptist Church in Redondo Beach, CA. I want to thank Pastor Wilson for his unsolicited comments. 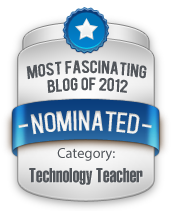 As is the practice here at Virtual School Meanderings, this guest post will be the only blog entry posted today. Jonny Scaramanga was educated in England with Accelerated Christian Education from ages 11-14. He now teaches music at the undergraduate level. He is researching Accelerated Christian Education and writing about fundamentalism in Britain at his blog, Leaving Fundamentalism. As is the tradition at Virtual School Meandering, this will be the only entry today. This blog recently asked what Accelerated Christian Education is, and what evidence there is of student achievement (see Questions About The School Of Tomorrow). Accelerated Christian Education is a pre-packaged programmed learning curriculum, which teaches fundamentalist Christianity. It has attracted controversy from Christian and secular academics alike. Criticisms centre on the teaching of Creationism, political propaganda, and an emphasis on rote recall at the expense of higher-order thinking skills. There are several factors that cause students to take a surface learning approach.1 From teachers, these include testing for independent facts (inevitably the case when using short answer and multiple-choice tests), and the use of extrinsic motivation. From students, factors include a cynical view of education, and thinking that factual recall is adequate. All of these are found extensively within Accelerated Christian Education. At the end of each PACE section, students mark their own work. They obtain permission to leave their seats before going to a score station, where they check their answers against provided answer keys.3 It is difficult to envision a system which rewards cheating, or encourages cynicism, more effectively. ACE prescribes a system of rewards and punishments for students.4 Those who achieve academic and behavioural goals are awarded privileges such as extended break times and the freedom to move without permission. All the rewards offered are forms of extrinsic motivation, emphasising that learning itself is not the thing of value. The ACE curriculum includes no practical science and accordingly no investigation. This would be troublesome for any ACE student embarking on a science higher education course. They also claim that Young-Earth Creationism has “unquestionable proofs” and “unarguable evidences,”15 both deeply unscientific claims. The result is not just that ACE students learn incorrect facts, but that they are taught incorrect methods of reasoning, and gain a distorted view of the scientific method. “For many years, the four racial groups were separated politically and socially by law. This policy of racial separation is called ‘apartheid’. South Africa’s apartheid policy encouraged whites, Blacks, Coloureds, and Asians to develop their own independent ways of life. Separate living area and schools made it possible for each group to maintain and pass on their culture and heritage to their children. ACE promotes coverage over depth, virtually ruling out deep engagement with the subject.23 World History, from Creation to the present, is covered in a series of 12 PACEs, each of about 40 pages. Because all the answers are contained within the PACE, the student will not learn how to conduct research or evaluate sources. There have been just three studies comparing the performance of ACE graduates with either nearby public schools, or national averages, on standardised tests, from 1985,25 2005, and 2007. In all three cases, ACE students performed below average. This data is highly limited, but it’s all that’s available. The only positive academic literature on ACE is from Jacqui Baumgardt, an ACE employee in South Africa. Her qualitative data (a self-selecting sample of 77 – 9% of ACE’s South African graduates in that period) indicated that South African ACE graduates in higher education were generally satisfied with their own performance. Even this, however, was not without criticism for ACE. It indicated that many ACE students struggled to get their qualifications recognised by universities, and some were refused entry entirely. One parent was told by a university, “We’re not taking any more ACE students because their performance has been unacceptable.” Baumgardt dismisses the suggestion that this is due to any weakness with ACE, arguing that it is down to a lack of awareness of the system on the part of the admissions officers. The most telling aspect about ACE is that criticism comes from both Christian and secular educators, but support for it comes only from fellow fundamentalists. Even if the biased nature of its history, politics, and science education is ignored, the system can be dismissed on academic grounds. Fundamentalists are unlikely to see this, because the primary goal of Accelerated Christian Education is not education – it is religious conversion. Accelerated Christian Education (1990) Social Studies 1086. Lewisville: Author. Accelerated Christian Education (1995) Science 1099. Lewisville, TX: Author. Accelerated Christian Education (1996a) Science 1096. Lewisville, TX: Author. Accelerated Christian Education (1996b) Science 1107. Lewisville, TX: Author. Accelerated Christian Education (1996c) Social Studies 1099. Lewisville: Author. 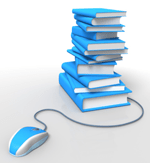 Accelerated Christian Education (2010) Procedures Manual I: Learning Center Essentials. Unknown: Author. 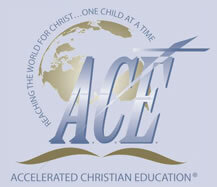 Accelerated Christian Education (2012) ‘A.C.E. Curriculum’ [Online]. Available from http://www.aceministries.com/curriculum/?content=fourthEd. Accessed 14/5/12. Berliner, D. (1997) ‘Educational Pyschology Meets the Christian Right: Differing Views of Children, Schooling, Teaching, and Learning’. Teachers College Record, 98 (3), pp. 381-416. Biggs, J. and Tang, C. (2007) Teaching for Quality Learning at University. Third Edition. Maidenhead: Open University Press. Dent, D. J. (1993) ‘A Mixed Message in Blacks Schools’. New York Times, 4/4/93, Education Supplement p. 28. Fleming, D.B. and Hunt, T.C. (1987) ‘The World as Seen by Students in Accelerated Christian Education Schools.’ Phi Delta Kappan, 68 (7), pp. 518-523. Gehrman, M.B. (1989) ‘Reading, Writing, and Religion’. In: Basil, R., Gehrman, M.B., and Madigan, T. eds. On the Barricades: Religion and Free Inquiry in Conflict. Buffalo, NY: Prometheus Books, pp. 81-90. Johnson, R.E. (1987) ‘Ace Responds’. Phi Delta Kappan, 68 (7), pp. 520-521. Kelley, L.J.L. (2005) An Analysis of Accelerated Christian Education and College Preparedness Based on ACT Scores. Ed.S. Thesis. Huntington, WV: Marshall University. Laats, A. (2010) ‘Forging a Fundamentalist “One Best System”: Struggles Over Curriculum and Educational Philosophy for Christian Day Schools, 1970-1989’. History of Education Quarterly, 49 (1), pp. 55-83. Speck, C. and Prideaux, D. (1993) ‘Fundamentalist Education and Creation Science’. Australian Journal of Education, 37 (3), pp. 279-295. UK Naric (2012). ‘Benchmarking ICCE Qualifications’ [Online] ECCTIS. Available from: http://naric.org.uk/article.asp?article=106. Retrieved 14/5/12. Jonny Scaramanga was educated in England with Accelerated Christian Education from ages 11-14. He now teaches music at the undergraduate level. He is researching Accelerated Christian Education and writing about fundamentalism in Britain at his blog, Leaving Fundamentalism. I was contacted by an international colleague yesterday who had questions about the School of Tomorrow, which is run by Accelerated Christian Education. I urgently need to know the program fo my project. Many aspects of the Accelerated Christian Education curriculum have come under criticism from educational researchers. D. Flemming and T Hunt of the educational journal Phi Delta Kappa wrote in a 1987 article regarding the emphasis on rote learning. But this was really all I was able to find in terms of independent evidence. Any one else out there have any additional leads or personal experience?